The terms forensic investigator and forensic investigation are part of our cultural identity. They can be found in the news, on television, and in film. They are invoked, generally, to imply that highly trained personnel will be collecting some form of physical evidence with eventual scientific results that cannot be questioned or bargained with. In other words, they are invoked to imply the reliability, certainty, and authority of a scientific inquiry. 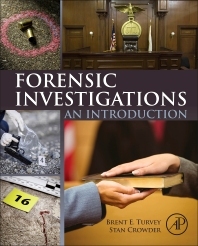 Using cases from the authors’ extensive files, Forensic Investigations: An Introduction provides an overview of major subjects related to forensic inquiry and evidence examination. 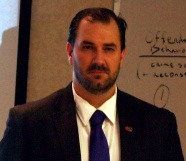 It will prepare Criminal Justice and Criminology students in forensic programs for more specialized courses and provide a valuable resource to newly employed forensic practitioners. Written by practicing and testifying forensic professionals from law enforcement, academia, mental health and the forensic sciences, this work offers a balanced scientific approach, based on the established literature, for broad appeal. The purpose of this book is to help students and professionals rid themselves of the myths and misconceptions they have accumulated regarding forensic investigators and the subsequent forensic investigations they help to conduct. It will help the reader understand the role of the forensic investigator; the nature and variety of forensic investigations that take place in the justice system; and the mechanisms by which such investigations become worthy as evidence in court. Its goals are no loftier than that. However, they could not be more necessary to our understanding of what justice is, how it is most reliably achieved, and how it can be corrupted by those who are burdened with apathy and alternative motives. "In summary, I found the work immensely readable; I like the way chapters do not require reading in a chronological order.